Nowadays businesses often operate in a highly competitive environment. The market becomes more demanding and therefore many companies hire mobile sales teams or other field-based staff. The challenge here is to ensure that all team members, no matter where they are, have the same instant access to company’s core databases. Smartphones and tablets are gradually replacing laptops in field-based work, but is there a way to easily synchronize them with company resources? What are Exchange Public Folders? In Microsoft Exchange there’s a feature called public folders. They were introduced to let users share information with other team members more effectively. Thanks to public folders, it’s possible to easily share emails, calendars, contacts, tasks and notes between multiple users. Moreover, public folders can also be used to create discussion groups, common contact lists or act as a company resources management tool. Any change made in public folders (including adding new items) is automatically and almost instantly available for other users within the company. All folders within the “Public Folders” tree are visible in the Outlook folders list. The access to them is granted by the server administrator who sets up various permission levels for users. 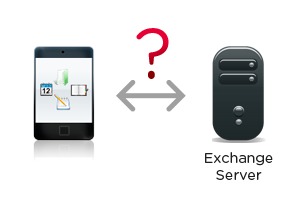 Unfortunately Exchange Server has one main drawback – users can’t see public folders on their mobile devices. This issue is caused by a limitation of Exchange ActiveSync (EAS), a protocol which is responsible for syncing personal mailboxes with smartphones and other handhelds. This means that mobile users can’t access public folders by means of EAS. Luckily, CodeTwo found a solution to the problem above. It is called CodeTwo Exchange Sync. Above all, the program allows for automatic synchronization of data between Exchange public folders and users’ personal mailboxes. As soon as data is synchronized to the given user’s mailbox, it can be easily accessed from a mobile device. 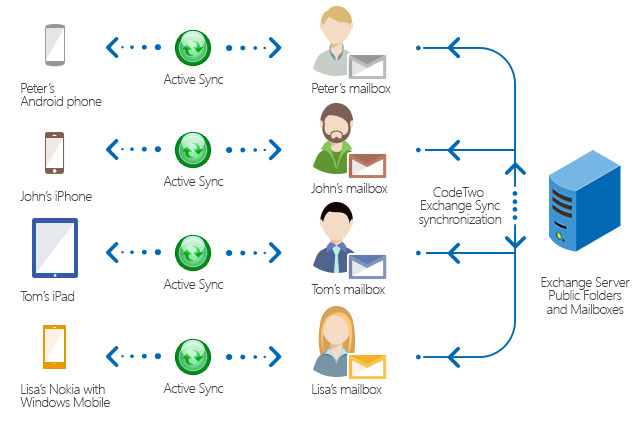 The big advantage of CodeTwo Exchange Sync is that it only needs to be installed on just one machine in organization e.g. Windows workstation or (if you use SBS) directly on the server. There is even no need to install any additional apps on mobile devices. Another great thing about CodeTwo Exchange Sync is that it offers various syncing modes that can be used in many business situations. The available options include one-way and two-way sync. Those synchronization types can also be further enhanced by using the built-in conditions and modifiers. In Two-Way synchronization there is no distinction between source and target folders. Any change made in one folder, automatically appears in all others. This synchronization type can also be called a Folder Ring. It is perfect for creating centralized contacts databases, or common company calendars. By applying conditions and modifiers, you can get even more control over synchronized items. Conditions let the administrator specify criteria according to which items will be synchronized, while modifiers give the possibility to alter the content of synchronized data. To find out more about conditions and modifiers, click here. Giving your field-based team mobile access to company’s public folders prevents them from being out of the loop while staying away from the office. Moreover, you don’t need to buy new smartphones or tablets as the application works with all types of mobile devices that support EAS, including iOS, Android and Windows Phone. With CodeTwo Exchange Sync, you can be sure that all data in public folders and mobile devices is always up-to date thanks to real-time, automatic synchronization. For instance, you can use CodeTwo Exchange Sync to manage your team tasks. 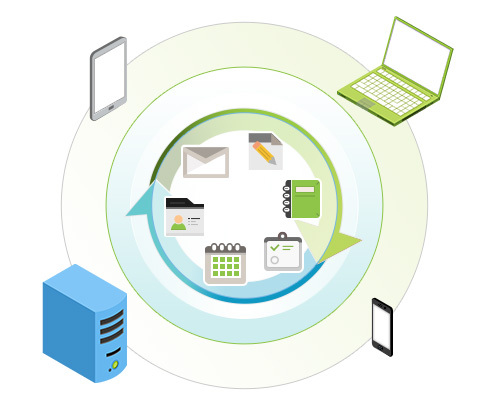 Just synchronize your task folder with your team task folders and monitor their work and create new projects. All changes will be immediately visible to the whole team or to certain members only (depending on the synchronization type you choose), no matter where they or you are. The synchronization of a public calendar and a mobile device can facilitate the field-based team’s work as users don’t have to accept or invite appointments anymore. Changes in public schedules will automatically be visible in all synchronized mobile devices. Moreover, employees can quickly check places and times of meetings, updates the public calendar when they are away from the office or adds additional information notes. With CodeTwo Exchange Sync it is also possible to have remote access to the central contacts database. Such database can be located in a contacts public folder on Exchange Server and then easily distributed to all field-based team members with just a few clicks. If you set up a one-way synchronization, data from the public folder will be copied to contacts folders located in employees’ Exchange mailboxes. Whenever an authorized person in the office modifies something in the central contacts database, all changes are automatically visible in users’ mobile devices. In two-way synchronization scenario, your field-based team can update clients contact details or even add new ones on the fly wherever they are and the rest of the team will immediately see the changes in their devices. You can download CodeTwo Exchange Sync here and test it for free for 30 days. To find out more about program features visit CodeTwo Exchange Sync website.